Due to religious reasons, beef and pork are not seen everywhere hence chicken is the most famous meat in India. 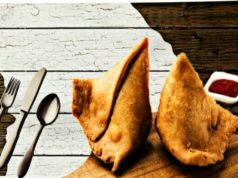 If you are one of those die-hard chicken fans then you must try out chicken cuisines from India as some best chicken preparations that are loved world wide are from India and are prepared by Indians. 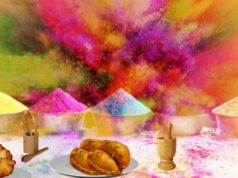 Orgasmic blast of colors and flavors because of aromatic spices used in Indian food has made it famous across the globe. You will get great variety of all dishes, be it veg or non veg considering the fact that India has equal amount of vegetarians and non-vegetarians. Due to religious reasons, beef and pork are not seen everywhere hence chicken is the most famous meat in India. If you are one of those die-hard chicken fans then you must try out chicken cuisines from India as some best chicken preparations that are loved world wide are from India and are prepared by Indians. I know what you must be thinking right now, how difficult it would be to dig into all Indian cuisines and pick out a chicken dish that pleases your taste buds. 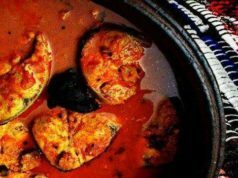 Well, we are here to save you from all the work and here are our top 6 picks of Chicken dishes that only Indians can make. Butter Chicken along with butter naan or steamed rice is favourite of every Indian chicken lover and believe it or not, only we Indians can make lip smacking butter chicken like the butter chicken originated in Saddi Dilli during the 1950s at Mohi Mahal hotel. There is an interesting story that revolves around its origin that the chef who created this dish, forgot to buy enough ingredients and hence ended up creating what you now call as ‘Butter Chicken’ with lots of butter, spices and chicken. 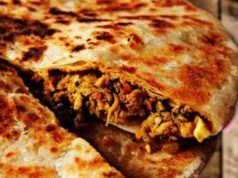 Originating in Turkey, this dish is famous in British restaurants as it goes well with beer and British palate and is a lot on the milder side in spices. Indian chefs are employed worldwide for preparation of this dish hence making it one of those dishes that is loved by all but can be prepared mainly by Indians because we Indians have a long history with spices and are pro at using them to bring out the best in every dish that we make. If you love onions as dearly as you love chicken, then my friend, CHICKEN DO PYAZA is the dish that you will love to the core. This exotic dish was originated in the land of ‘Makke di Roti’ and ‘Sarso da Saag’ i.e Punjab. Chunks of boneless chicken are cooked with lots of fried onions, ideally, equal amounts or more onions than chicken are used hence the name ‘Chickem do Pyaza’. So now you know, from where ‘Paneer do Pyaza’ or ‘Aloo do Pyaza’ came!! Biryani is more famous with the younger population as it is a ‘one dish meal’. This way it saves your time of making a complementary dish. This is also one of the most popular chicken dish in India as well as abroad. Chicken Biryani is prepared with rice and pieces of chicken along with lots of different vegetables of your choice to enhance the flavour. Mughals used to cook Biryani in a ‘Handi’, so it would be advisable for you as well to use a handi to bring out the best in your Chicken Biryani. Rogan Josh got it’s origin in Persia as a lamb dish but now it’s chicken version is served in many restaurants. Mughal invaders brought it to India and since then it’s chicken version has been a speciality of Indians. 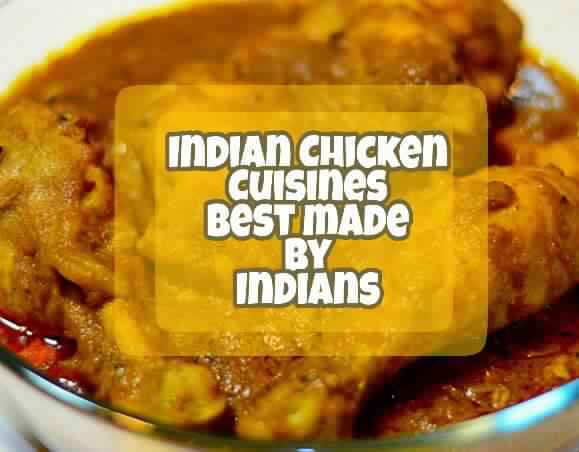 It is cooked in high heat and chicken is mixed with gravy of onions, yoghurt, garlic, ginger and other spices of your choice. This dish gets it’s red colour from a large quanty of chillies which are used in it’s preparation. So, if you are someone who can’t tolerate hot food then this is not an option for you. Chicken Tandoori originated as a side dish or starter in Peshawar which is now in Pakistan. Today, it is used in pizza toppings as well. Visually similar to Kebabs and Barbecues, this dish is prepared by marinating chicken in yoghurt, lemon juice, various spices and is cooked in a tandoor at a temperature upto 500° C. Tandoor Masala including turmeric powder and red chillies ensure that the dish gets it’s signature orange hue. 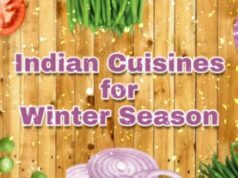 Being an Indian, feel proud on the cooking skills of your fellow citizens and contributions of Indians in some world famous dishes. 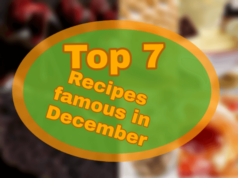 If you are a non-Indian, then do try our top 6 picks and it would be better if you have Indian friends so that you can bribe them into making the above mentioned dishes for you.